In our commitment to find the best toners for acne-prone skin, we went through 20 toners in this review to come up with our top 5 products. They were ranked based on their ability to control skin breakouts, their active ingredients and additional benefits that can help improve your skin’s overall condition. These toners are set to complete your skin care routine. 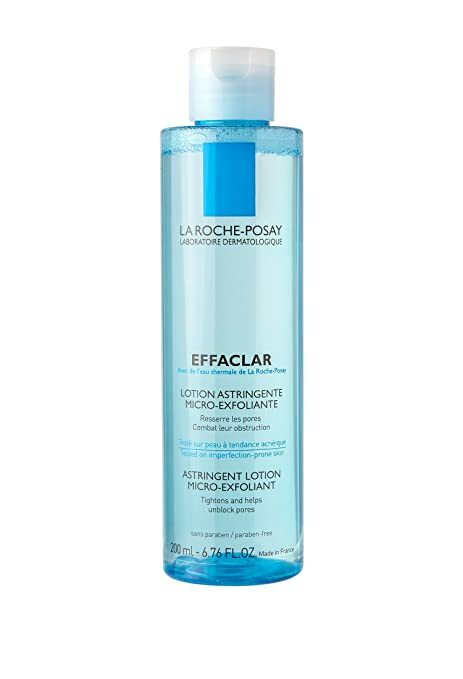 La Roche-Posay Effaclar Mico-exfoliating Astringent Facial Toner earns the top spot for the best rose toner for acne-prone skin. It contains citric acid that can help you fight not just breakouts, but signs of aging, too. Go with Foxbrim Orange Blossom Water Toner if you are looking for something completely natural. It has this mild sweet orange aroma to awaken your senses. 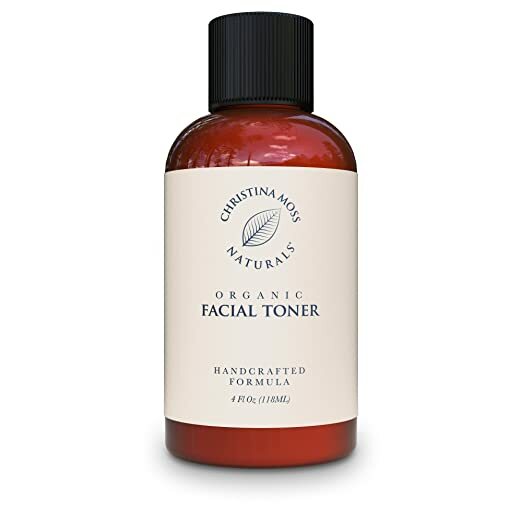 If you have combination acne-prone skin, search no further as we found Christina Moss Naturals Organic Facial Toner as the best toner for you. The product contains 97% ingredients that include green tea extracts and aloe vera. For something that’s professional grade, you shouldn’t miss OZ Naturals Facial Toner. It has ocean minerals, vitamin C and glycolic acid to clear up and brighten up your face. Pick Rose Crystal Organic Rosewater Hydrating Facial Toner if you also want to get anti-aging benefits. This toner can help heal wounds faster as well as boost your skin’s youthful glow. Toners are everywhere, but which one is the best toner for acne-prone skin? Scroll down to find out. If you’re struggling with uneven skin tone and enlarged pores, this is the right toner for you. It contains salicylic acid which helps shed dead skin cells clogging your pores. On top of this ingredient, the toner also has citric acid. It’s a popular skin care ingredient that’s known to treat mild acne, darks spots and even wrinkles. For oil control, La Roche-Posay’s toner provides micro-exfoliation to clean your pores and make them tighter. It’s also good in evening out the skin tone. Despite its micro-exfoliation property, most of its consumers like that it doesn’t sting the skin too much. In fact, the product leaves their skin feeling refreshed. It picks up dirt and makeup residue really well to help prevent breakouts. The toner is claimed to be gentle enough to use on sensitive skin. For best results, you can apply it twice a day. However, one important thing to note about the product is that it contains alcohol and fragrance. This means that even though it’s marketed to be safe for sensitive skin, you should still consider your skin’s tolerance before you completely apply the product on your face. Dry skin tends to react negatively to products that have harsh ingredients. This is exactly what makes Dermalogica Multi-Active Toner great to use on acne-prone skin that tends to lean on the dry side. For one, it’s alcohol-free and water-based. It doesn’t even have any artificial color or fragrance. Instead, you can find moisture-binding humectants in the product. It has lavender, mint balm and arnica to enhance your skin’s moisture absorption. Compared with other toners, this one has a different packaging. Instead of pouring the liquid on a piece of cotton ball, you spritz the toner on your face. Its water droplets get easily absorbed into the skin. It’s refreshing and hydrating. Most of its consumers like that the product leaves their skin with a healthy glow that’s not oily or greasy. And since you only need a few spritz, the product can last a long time. Some users were able to use their toners for almost a year. 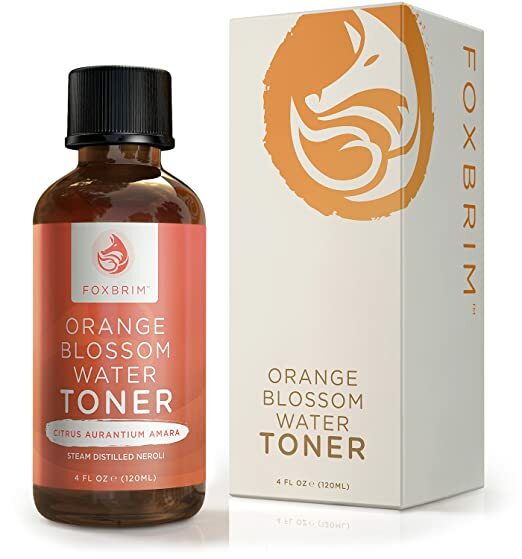 Foxbrim Orange Blossom Water Toner is 100% natural. This means that it’s safe enough to use on skin that’s sensitive and struggling with acne. The toner is infused with a lot of hydrating and anti-aging ingredients, from green tea extract, aloe vera and COQ10. It contains 97% organic ingredients. With its potent ingredients, you can use the product in controlling excess oil and removing makeup and dirt from your pores. It also provides gentle exfoliation while soothing and calming irritated skin. Aside from its capability to address the most common causes of acne, it can also improve your skin’s overall complexion. It’s great to use on almost all skin types- even on your combination skin. What most people love about this toner is that it can give an instant tightening effect on the skin once it dries. Despite this effect, Christina Moss’ toner isn’t too harsh on the skin. Christina Moss Naturals Organic Facial Toner contains no chemicals and GMOs, which we really like. It’s organic and good to use on both face and body. OZ Naturals Facial Toner is professional grade. Despite this, the product is still claimed to be safe enough to use for most skin type. It has a unique blend of vitamin C, amino acids, glycolic acid and ocean minerals. These ingredients can’t only help you with your acne, but they can also help slow down the signs of skin aging. Vitamin C is a potent skin care ingredient that can treat existing acne and hyperpigmentations. Glycolic acid, on the other hand, can speed up your skin’s natural skin renewal process. Most of its users like that the product puts their breakouts under control. It helps heal old ones quite fast, too. The product is light and refreshing. It helps makeup application go on smoothly as well. For most people, using toners can be optional. However, if you struggle with oily skin and frequent breakouts, you should have a toner in your skincare routine. Washing your face may not be enough, especially if you wear makeup and heavy skin care products on your face. These residues can mix with oil, sweat and dirt to clog your pores. If you’re acne-prone, the combination of these factors can be enough to cause mayhem on your skin. And that is exactly what toners prevent. Toners pick up dirt and traces of makeup your facial cleanser may have missed. They’re able to lift impurities from environmental pollutions, too. One of the most known benefits of toners is oil control, particularly those that contain alcohol. Since they are able to lessen your skin’s oil production, you’ll be less susceptible to acne. Despite this benefit, it’s still a good idea to skip toners that have alcohol since they can be excessively drying and irritating. For oil control without these harsh effects, a good ingredient to go for is glycolic acid. Soaps, in general, are alkaline in nature. This means that they have a higher pH than your skin. When you use them for cleansing, they can strip your skin’s natural oils and turn its pH alkaline. This, as a result, makes your skin lose its protection against bacterial buildup. Although your skin is able to restore its pH on its own, it will take time before that happens. Using toners, on the other hand, can help bring back your skin’s natural pH right after application. Toners, aside from their ability to combat excess oil, can also decrease the size of your pores. This will make it harder for debris to get trapped inside them. It can also make your skin tone more even and your skin complexion whiter and more radiant. Most people think that toners are the same. But, unfortunately, they aren’t. For one, toners have different active ingredients. That’s right. In selecting the best toner for your skin type, you have to know a product’s active ingredient. This will help you decide on whether the product can treat your skin issues or worsen them. For acne-prone skin, for example, it’s a good idea to use products that have glycolic acid. This ingredient can dissolve your dead skin cells for faster skin cell renewal while decreasing oil production. Salicylic acid is another great ingredient that should be on your toners, too. Finding the best toners for acne-prone skin is a tough job, particularly if you have a very tricky skin type. You have to find a product that contains ingredients that can address both your acne and your skin's specific needs. Because of this, we're placing Christina Moss Naturals Organic Facial Toner on the top of our list. It's made of 97% organic ingredients, which means it doesn't contain as much harsh ingredients as other toners do. We also like the fact that it can address and even help slow down the signs of skin aging. It contains witch hazel which has a mild astringent property and glycerin that's well known for its ability to moisturize acne-prone skin and oily skin without the breakouts.